What is an Accounting Consultant? Accounting is a diverse profession with accountants specializing in a variety of areas like taxes or payroll, and an accounting consultant performs many tasks that help businesses maintain efficient accounting practices. An accounting consultant is both a teacher and an advisor for a business when there are questions of what accounting services the business would benefit from and whether current accounting practices should be updated. Each business is unique in its accounting needs, and an accounting consultant examines a business’s financial data and helps with a variety of accounting services. Work might begin with a look at the company’s financial health and the current accounting services used in-house or through third-party accounting companies. The accounting consultant may then look at the company’s financial statements, gauge the profitability of the organization, and make some estimates on the company’s financial forecast. The consultant will make recommendations based on what he or she finds in the company’s financial statements, as well as the current practices for various tasks like accounts payable and the software or services currently used for accounting. After completing the examination, the consultant will make recommendations on additional accounting services needed or changes that should be made to create greater efficiency for the company’s accounting and finances. 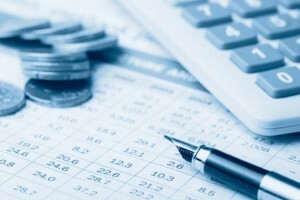 An accounting consultant must obtain a bachelor’s degree in accounting, as well as develop advanced skills in mathematics, problem-solving, computer programs, and analytics. Some consultants choose to obtain a bachelor’s degree in business with a specialization in accounting while others may seek a bachelor’s degree in accounting with a minor in business. Future accounting consultants who already have an idea of the industry in which they might specialize can further tailor their education by taking extra classes in related areas. Some accounting consultants choose to become Certified Public Accountants (CPAs). This route means obtaining a degree from a college that offers the right credits to qualify to take the Uniform CPA Examination from the American Institute of CPAs. To gain eligibility to take the exam, a student may need to enroll in graduate-level work, and a master of accounting degree may prove beneficial when an accounting consultant enters the workforce. An accounting consultant usually works as an independent contractor by taking on temporary assignments with different companies. Accounting consultants must maintain a strong network of industry connections and must rely on the positive word-of-mouth from past clients and referrals. Some consultants will join trade associations to boost their visibility in a certain industry, as well as participate in conferences and discussion panels. Successful accounting consultants often specialize in a certain industry and learn the unique accounting requirements used in certain areas. For example, one accounting consultant might specialize in working with healthcare organizations including hospitals, clinics, and doctors in private practice. The consultant will learn the unique billing requirements and accounting features of a company that must work with various insurance companies and government programs like Medicare and Medicaid. Individuals who enjoy mathematics and the exactitude required of financial occupations may thrive as an accountant, and considering a career as an accounting consultant is an interesting way to expand on a popular career. The Bureau of Labor Statistics reveals that the highest annual mean wages for accountants and auditors belong to workers in management, scientific, and technical consulting services, so the work of an accounting consultant may offer excellent income opportunity.